For a huge number of people tattoos are just a way how they express themselves, and for celebrities is more of that, is like setting trends. But what happens when they overstate the matter and tries to express them maybe a little too much? Yes, we are speaking on the subject of bizarre tattoos so ridiculous that it makes you doubt why any sane person, especially a famous person would do that to themselves. Here’s the list of celebrities with bizarre tattoos that attract our attention. Miley Cyrus is without a doubt the person of the year, but her latest tattoo raises the question of how much actually she thinks about everything. She has a few tattoos but this may be the weirdest one yet. Most famous tattoo artist Kat Von D engraves Miley’s grandma’s face on her right forearm, and it really looks ridiculous. Well, Justin Bieber is full of tattoos, but he raised a lot of dust with terrifyingly detailed eye tattoo on his inner arm. It was meant to symbolize the idea that “Mom's always watching”, explained Bieber, but many thinks that is the sign of Illuminati secret organization. It’s on you to bielib what is the real true behind this strange tattoo. 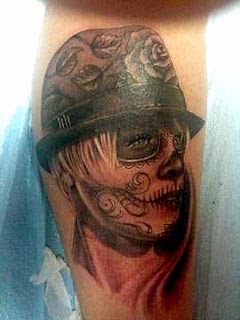 Is there anything scarier then a grown man with a “Hannah Montana” tattoo? We are pretty sure there isn’t. Miley Cyrus dared Baldwin to get Hannah Montana's initials and in return she would let him appear on her Disney TV show since his daughters are huge fans of the series. Soon after that Stephen Baldwin bears the initials “HM” on his chest, and he became part of the show. 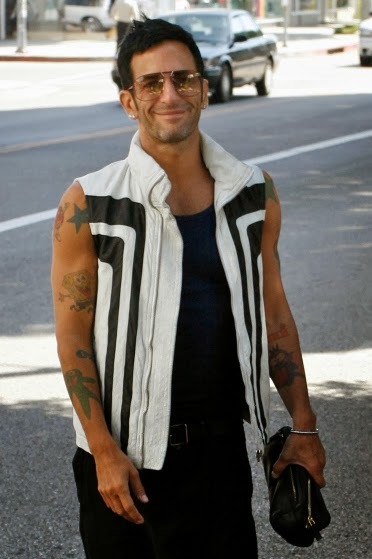 Marc Jacobs is well known fashion designer with a taste, but even he fails in tattoo department. He has more then 30 tattoos all over his body, but when he put a Spongebob Squarepants on his arm many fans was thinking that is a huge sellout. 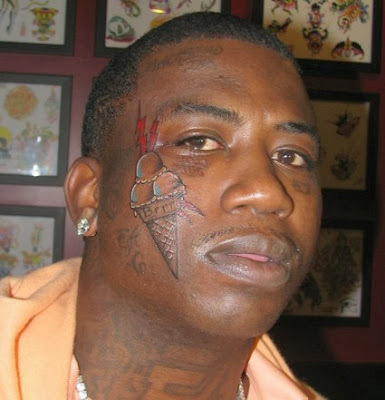 When beleaguered rapper Gucci Mane has finally emerged from Atlanta’s Anchor Hospital after a judge ordered him to undergo psychiatric tests back in 2011, he went almost immediately to the tattoo artist and got an enormous tattoo of an ice cream cone on his right cheek! “At the time I was thinking it was going to symbolize that I was the coldest MC in the game,” he said during an interview. He has since had it removed. 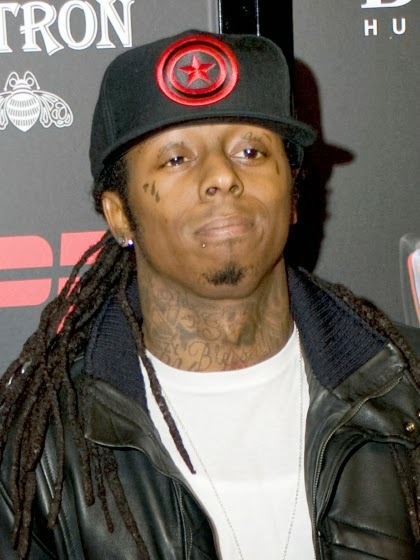 Face tattoos are always hard to take in, but Lil Wayne’s eyelid tattoos “Fear God” makes us recoil just from imagining how greatly they had to injure. But that represent something, or not? It is very difficult to explain how someone does something so stupid, but that way we called them bizarre. 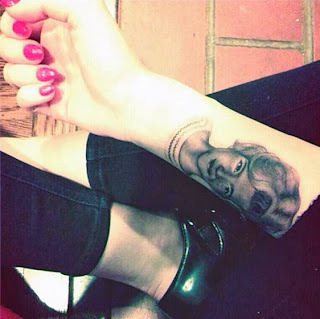 Husband of the famous pop star Pink tattooed her face on his leg, but that was not enough. He put her in a “day of the dead” style. Who hasn’t imagined what their spouse would look like as a zombie? No doubt that Carey Hart was thinking a lot about it before he went that way.